August 29, 2018 (Potrero) - The Fire Safe Council of San Diego County is taking fire safety training to local communities that are at high-risk for wildfires. Some of the most vulnerable areas are those in the Wildland Urban Interface, or WUI, which is defined as residential areas that abut to open space. The next workshop, called Fire Operations in the Wildland Urban Interface, will be in Potrero on Saturday, September 8, 2018. • If you believe the fire is too close to your location, evacuate immediately. (The fire may be moving too fast for officials to issue evacuation notifications.) Choose a route away from the fire and other potential fire hazards. 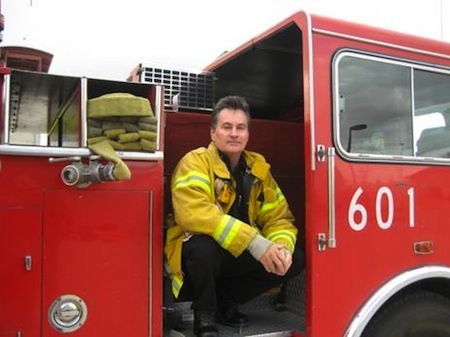 April 24, 2013 (San Diego) – Homeowners and residents can take a proactive approach to dealing with wild fires by practicing some simple guidelines. October 18, 2012 (Pala) -- The Pala Fire Department along with the Pala Band of Mission Indians will hold its 7th Annual Fire Prevention Fair on October 20, from 10 a.m. to 3 p.m. at the Pala Fire Station on Hwy 76 in Pala. This event is free and open to the public. May 6, 2010 (Sacramento) – Governor Arnold Schwarzenegger has declared May 2-8 Wildfire Awareness Week to remind Californians to be prepared for wildfires and vigilant as the state approaches peak fire season. CAL FIRE will also be using the week to highlight the importance of the homeowner’s role in preparing their property and families ahead of time to survive a wildfire.